Something seems wrong with this post. Have the bounty rules changed? Seems that the same bounty was awarded several times to the same user. 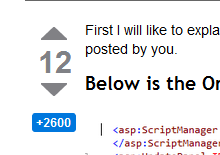 The tooltip (hover over the +2600) shows the answer got 7 (!) bounties rewarded to it. Since most of this came from one user, with a dubious user name (abcdefghi - really?) and accounts for pretty much all of the rep of the account that answered it, there certainly is something fishy going on. 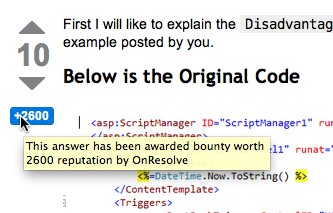 How about making it possible to set up bounty on someone else's question?